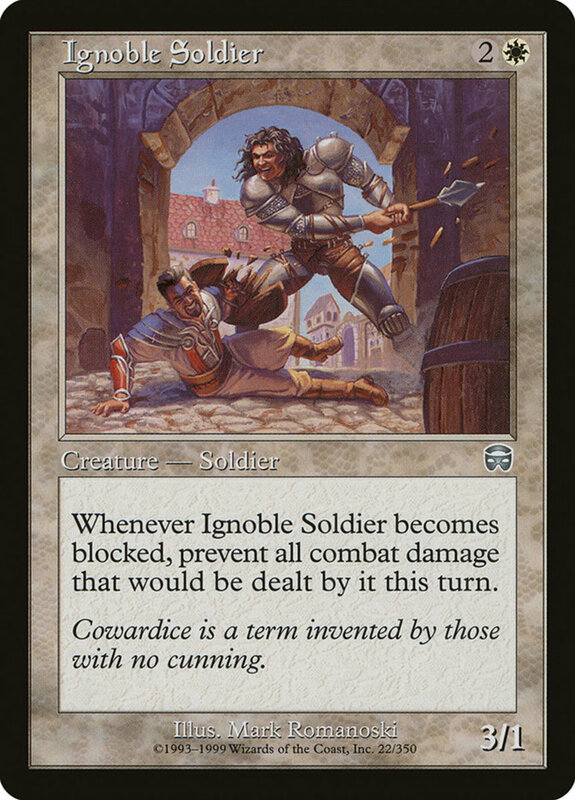 What Are the Worst Cards in Magic? Magic cards are balanced in theory, as stronger effects require higher mana costs, supposedly evening things out. 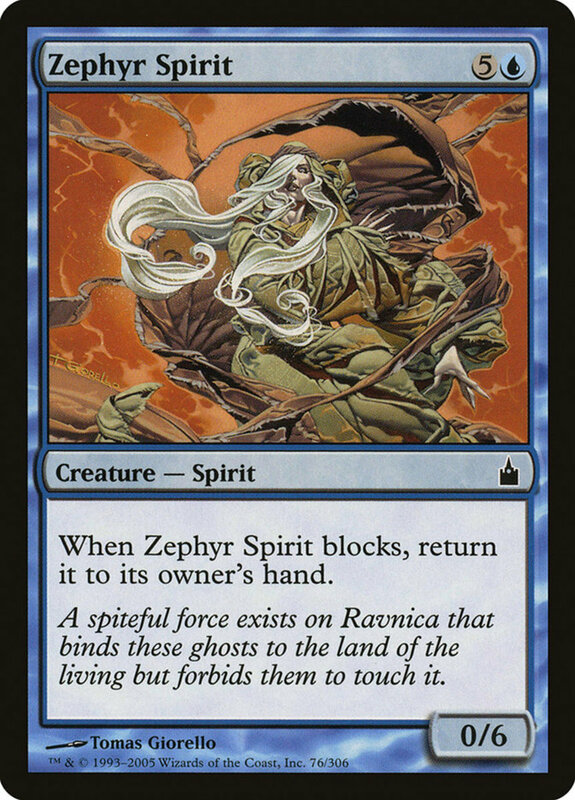 But despite varying resource needs, many spells are forever doomed to the depths of obscurity, offering terrible payoffs for outrageous mana prices. From unreliable situational spells to overpriced rip-offs, some Magic cards are so useless you'll wonder why they weren't tweaked before release, and today's entries rank among the lowest-rated spells in the official card database. So, which units should you avoid at all costs? These are the 30 weakest cards in Magic: The Gathering! This colorless artifact only needs one mana to cast, but actually using its effect requires you to spend six more and tap it, making it unavailable until the late game. The effect simply returns a permanent you both own and control back to your hand. In most cases, this is undesirable, as you usually want your troops fielded, and even with cards that can benefit from it (perhaps with entrance effects), it's still an expensive trait you could otherwise achieve with much cheaper spells. This one-off sorcery deals four damage to a creature for seven mana. That's one of the worst trade deals in the history of forever; seriously, compare to one-cost "Lightning Bolt", which nets three damage on any target at instant speed! 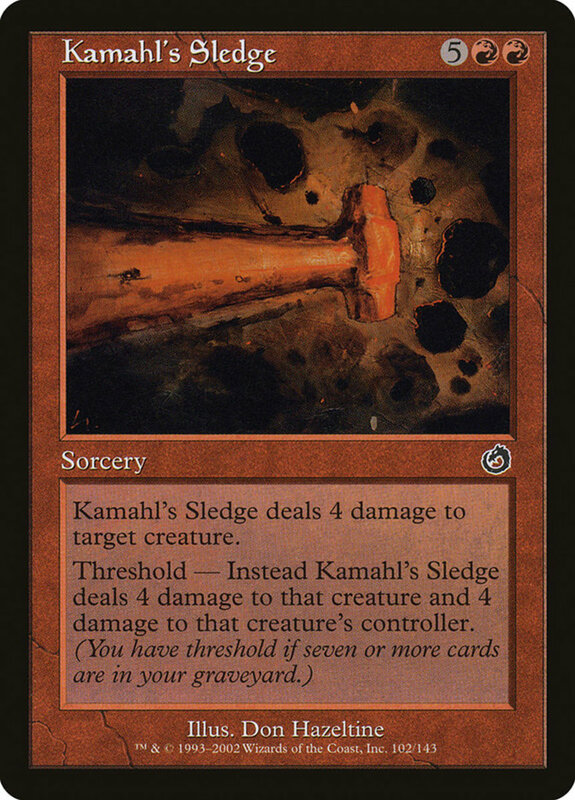 Sledge slightly improves with threshold active (if you have at least seven cards in your graveyard) by also slamming your opponent with four damage, but it's a paltry consolation prize for this scam. Zephyr's 0/6 stats are bad for his price; he only absorbs damage without hitting back. Additionally, he automatically bounces back to your hand when he blocks, meaning you'll have to pay his outrageous cost to field him again, and he can't guard aerial enemies since he lacks flying or reach. 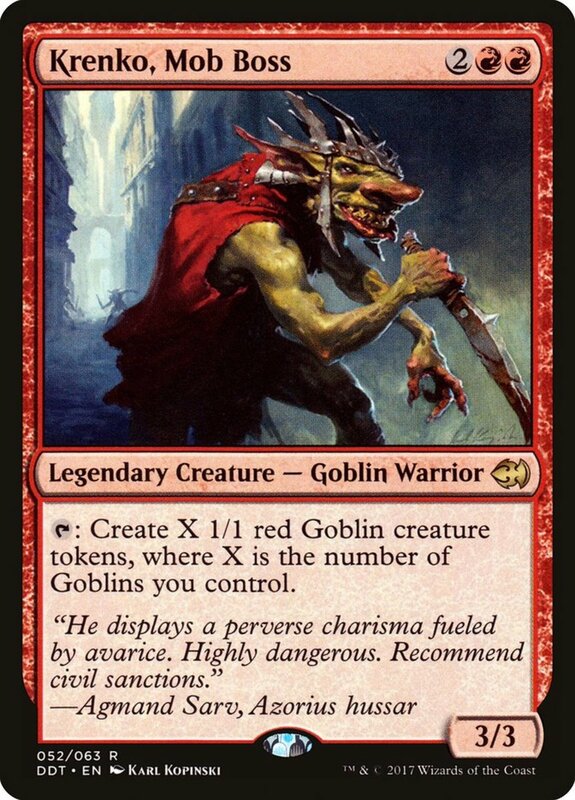 While this soldier bears the handy goblin subtype and a low cost, he's a weak 1/1 forced to attack whenever possible, meaning he'll easily run headfirst into blockers that can kill him. 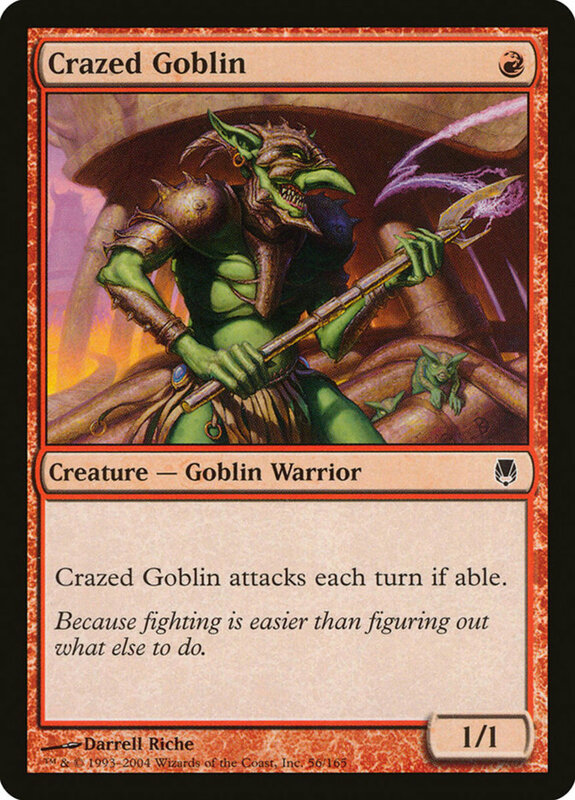 Goblins offer several one-cost creatures with better stats and effects without berserk, leaving little reason to employ this lunatic. 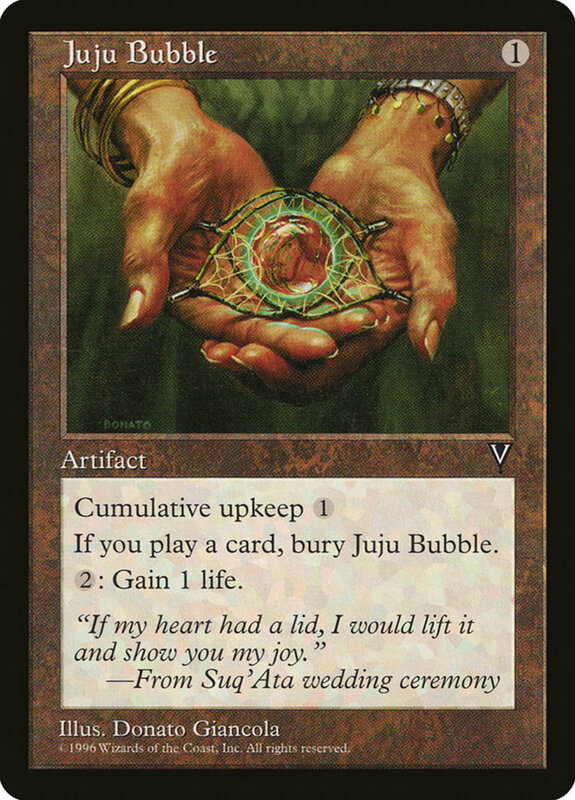 Juju only needs one mana, but its cumulative upkeep requires you to gradually pay more at your upkeep to keep it active. 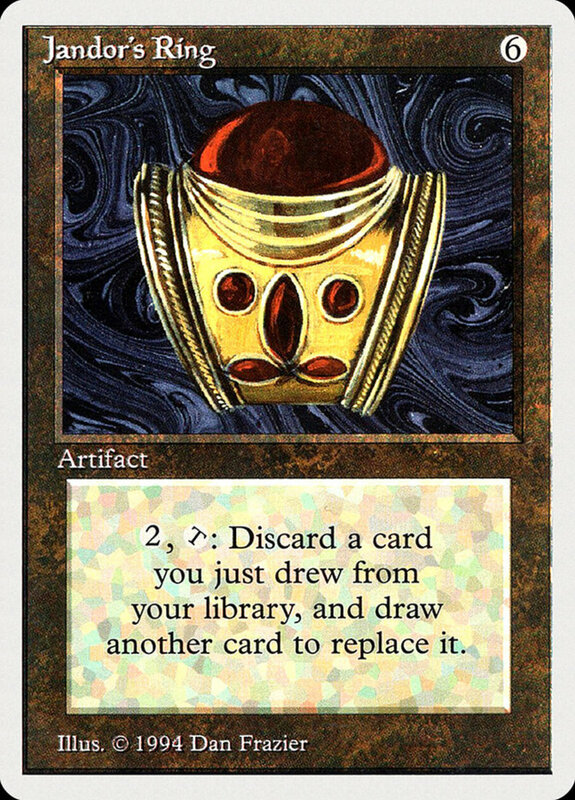 Additionally, it's automatically sacrificed if you play any card, meaning you can't do anything if you want it active. And there's little reason—all it does is let you convert two mana into one life. In short, an underwhelming effect made terrible by added restrictions. 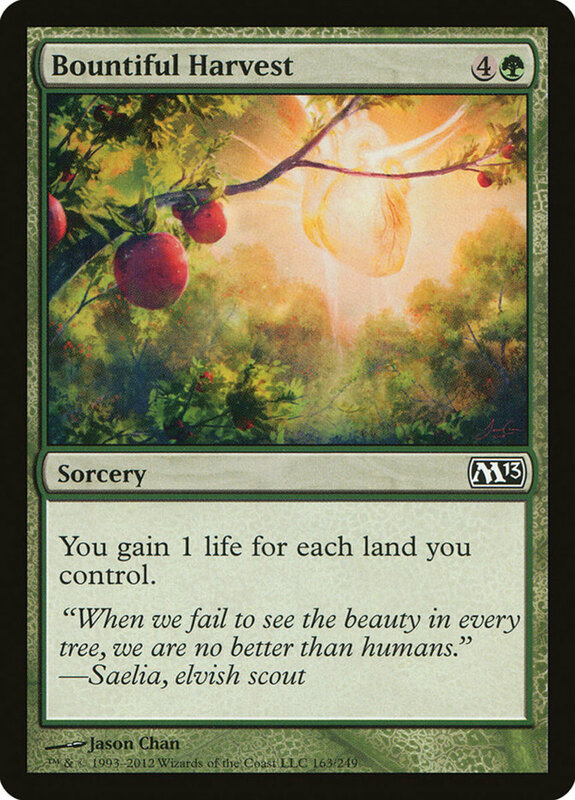 Another lackluster lifegain spell, Harvest simply increases your life by one for every land you control. This should net around five life, but yet again, there are better alternatives for cheaper prices. Spend your late-game mana on spells that actually bring you closer to winning the match. 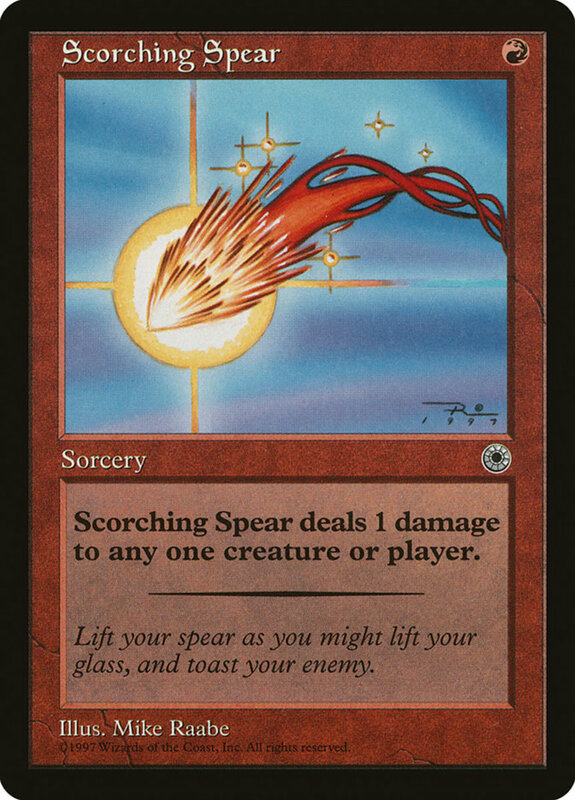 Spear is admittedly cheap, but it's just so bland, offering no bonus effects to ever justify its existence. You simply deal one damage to any target, and its sorcery status only allows access on your main phase. Again, remember you can deal three times the damage on either player's turn with Lightning Bolt. 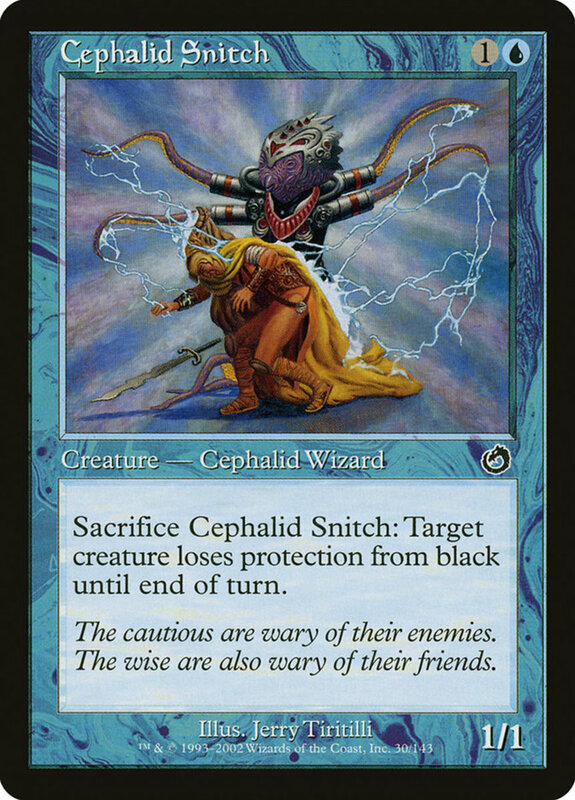 Snitch carries the useful wizard subtype, but he's a weak 1/1 with an odd effect: you can sacrifice him to make a target creature lose protection from black for the rest of the turn. Needing to remove protection from a specific color is a very situational ability, and even if you actually encounter it, you're better off just using a blue removal than spending a card for the chance to spend another card against the same foe. At four mana, Pathcutter is pathetically weak at just 1/2. 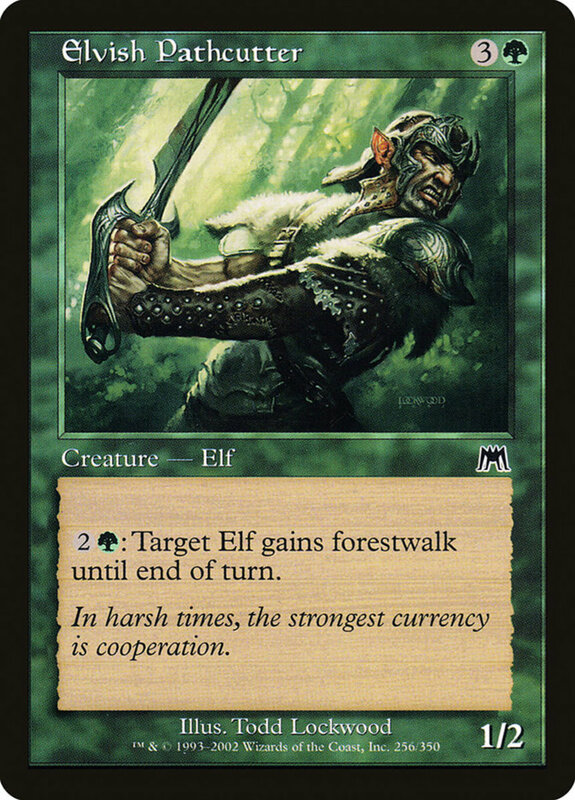 His ability lets you spend three mana to grant an elf forestwalk for the turn, making it unblockable if your opponent controls a forest land. But neither the base creature nor the effect is worth the mana you're investing, and even the handy elf subtype is small comfort for this dud. 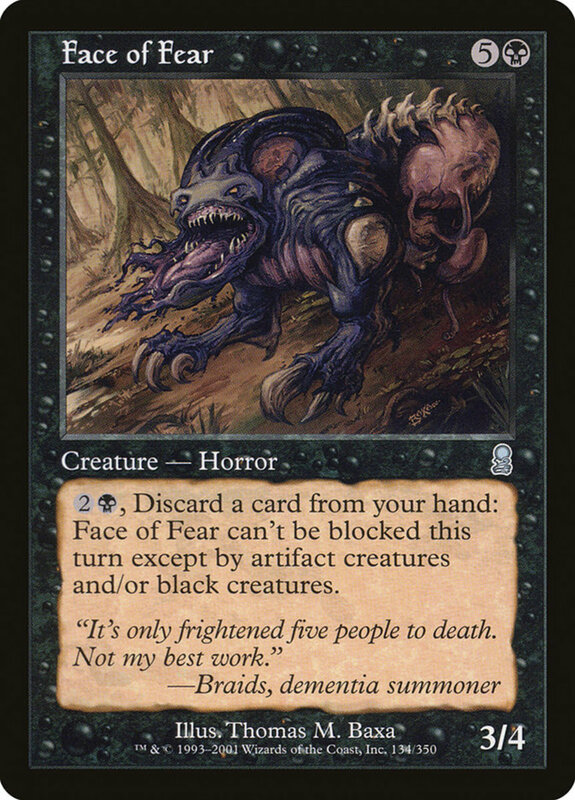 Fear's 3/4 stats are poor for his sizable cost, and his horror subtype has few synergies. 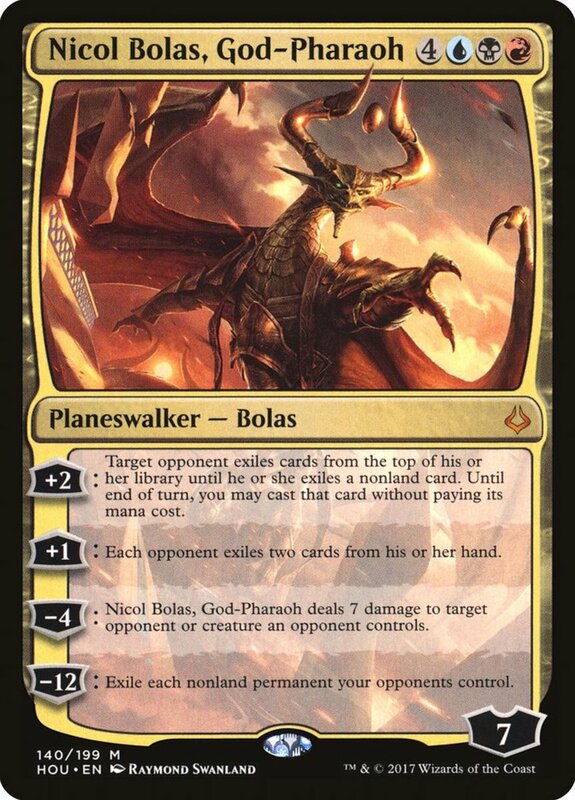 Beyond that, he possesses a costly ability that requires you to pay three mana and discard a card to grant Fear, well, fear, making him unblockable for the turn except by artifact or black creatures. So, in addition to his hefty base fee, you're paying three more and losing a card for a temporary semi-unblockable effect—it's just not worth it. 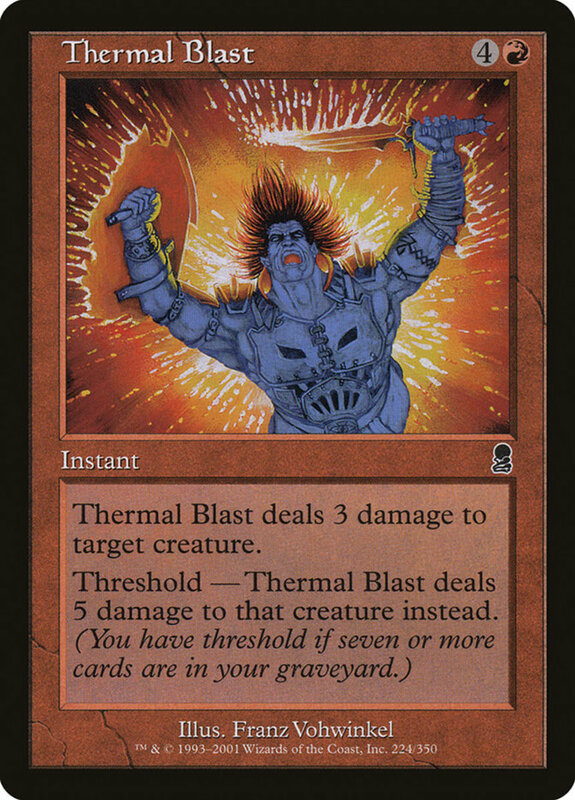 Again comparing to Lightning Bolt, Blast offers a worse effect for five times the cost, only letting you target a creature for three damage. If the threshold condition is met (seven or more cards in your graveyard), the damage increases to five, but even then it's still a terrible removal for such a steep price. 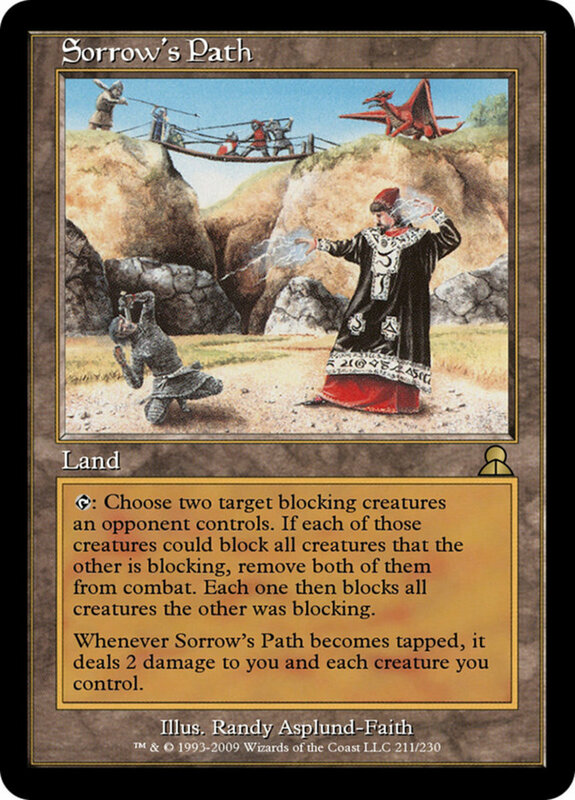 Like other lands, Path won't cost mana, but it spends your turn's land play and can't tap for resources. Its only effect is to tap and switch two opposing blockers, having them each block the units the other was assigned to, though they both must be able to legally do so (with regards to flying and such). Even worse, whenever Path becomes tapped, both you and your creatures suffer two damage, an enormous riposte for a mediocre effect. The only thing right about this card is its accurate name. 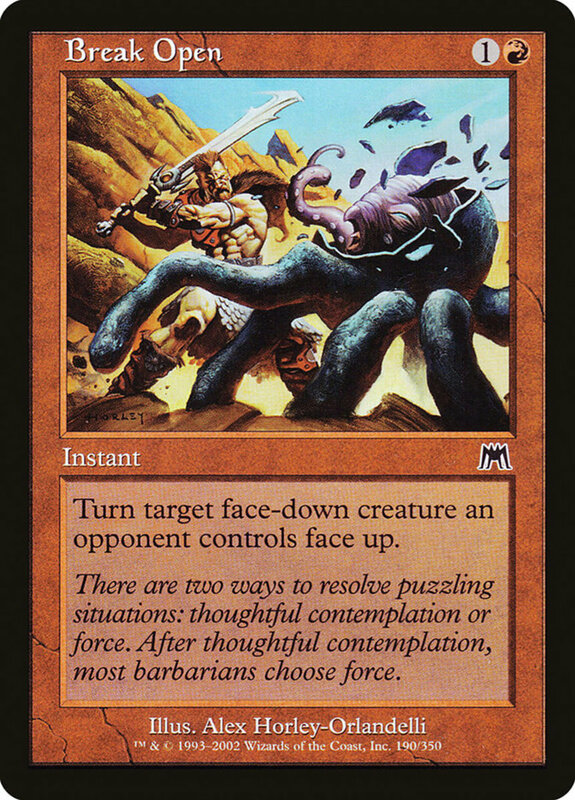 Defensive Stance is the far-inferior counterpart to equipment spell "Skullclamp", attaching to a creature and giving it one less power but one more toughness. Generally, power is favored over toughness, making this an undesirable trade that does little good and simply wastes mana and a card slot. You can boost power and toughness for the same price with other auras or instants. 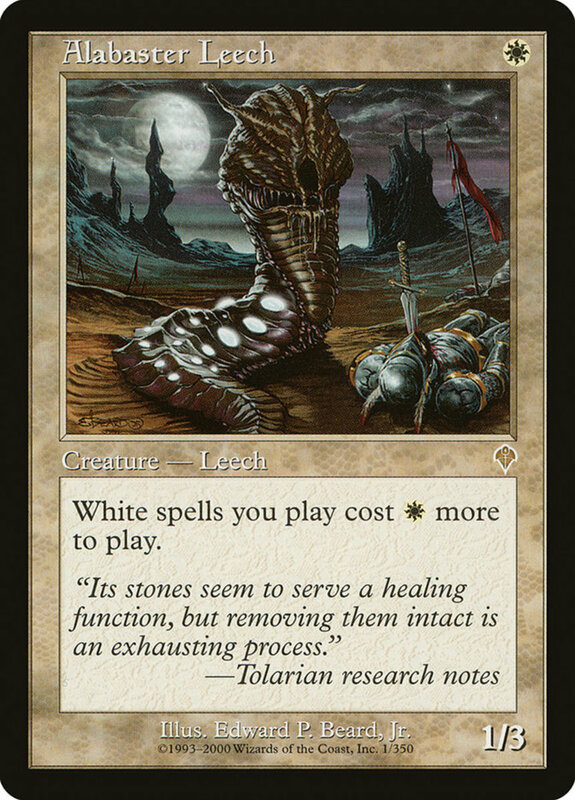 Leech's 1/3 stats are impressive for his low cost, but he makes your white spells cost one more white mana. This drastically slows your strategy and simply isn't worth a decent defender, especially one with few synergies in the leech subtype. 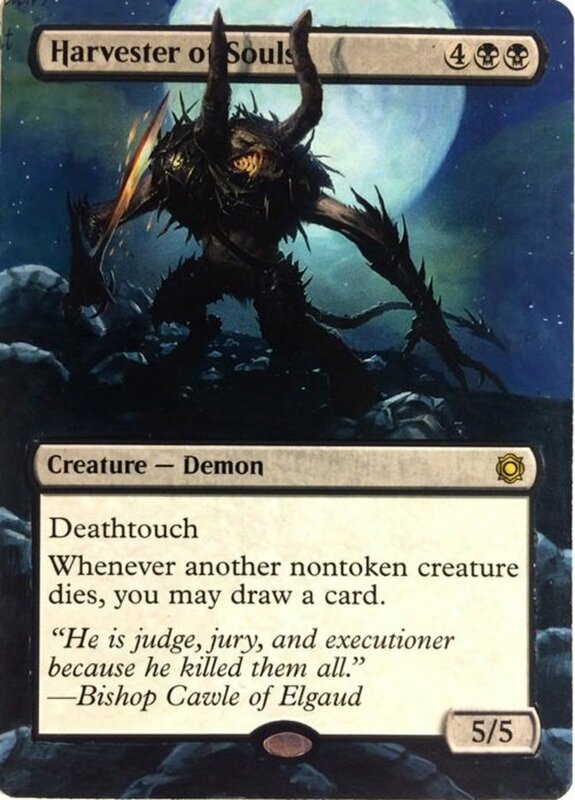 2/2 stats are bad for a three-cost creature. 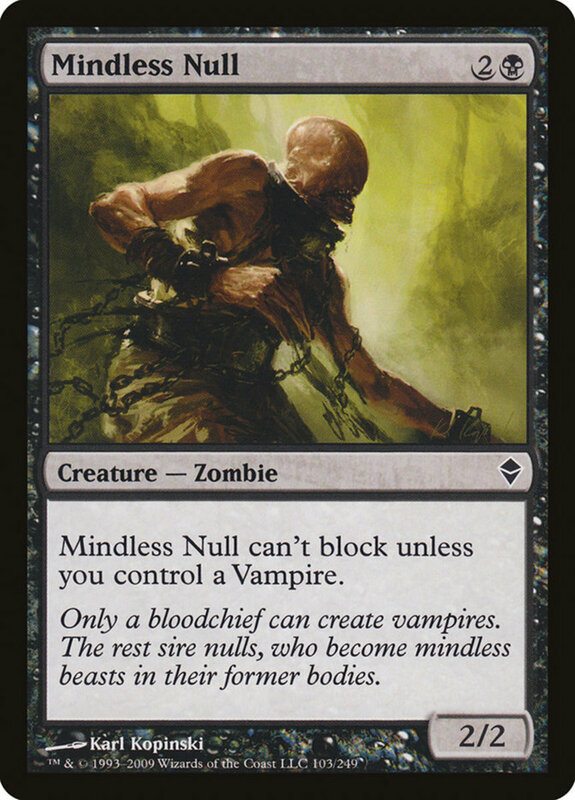 But don't worry, Null compensates by...only being able to block if you control a vampire. He's already weak in combat and can't defend unless you haphazardly mix vampires into your zombie deck? No thanks. Soldier's 3/1 stats aren't particularly great for his cost, but his real hazard comes from his terrible effect: whenever he's blocked, you prevent the combat damage he would deal that turn. Essentially, your opponent can guard him without fear, as their unit won't suffer any injuries from the encounter. Meanwhile, Soldier doesn't enjoy the same benefit and will fall after taking a single hit from any source. 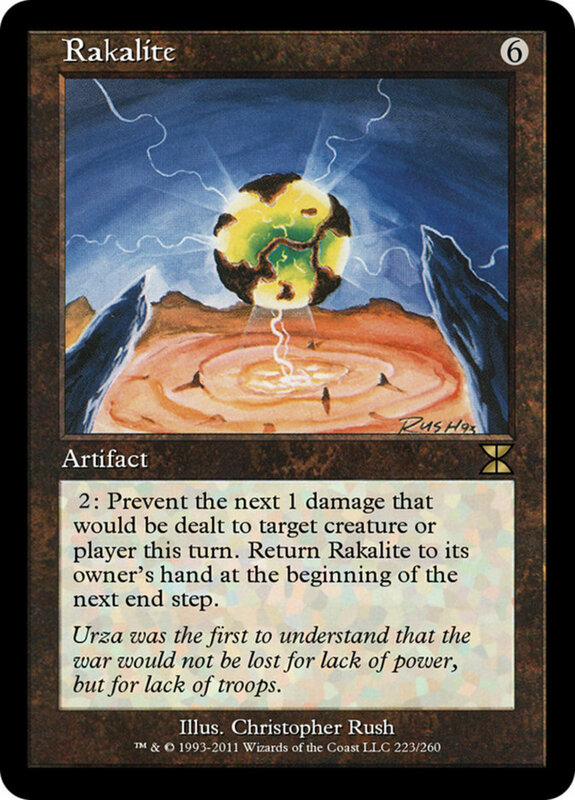 Rakalite needs six mana, and to use its effect, it needs two more. It simply prevents the next one damage that would be dealt to a target that turn—an enormous price for such a small benefit, especially when your opponent can see it coming and adjust their plays accordingly. 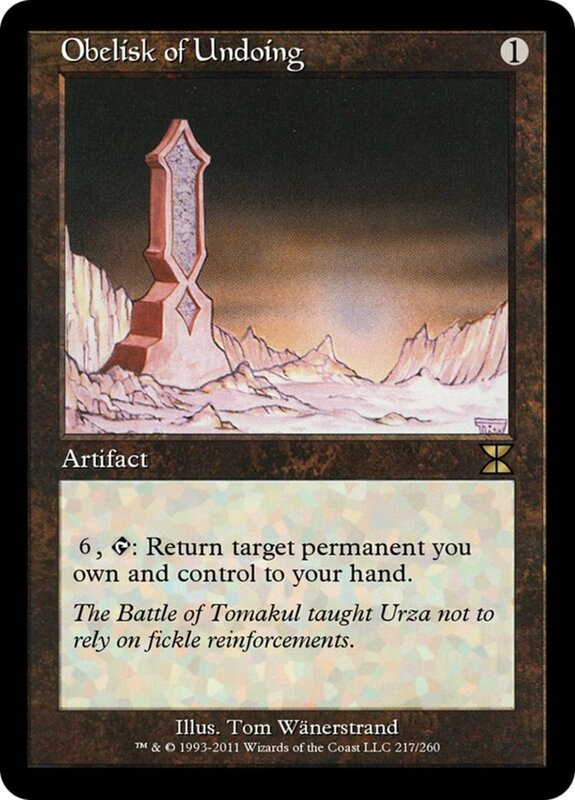 Even worse, Rakalite returns to your hand at the end of the turn you used its effect, so you'll have to shell out its bulky price all over again to reaccess it. 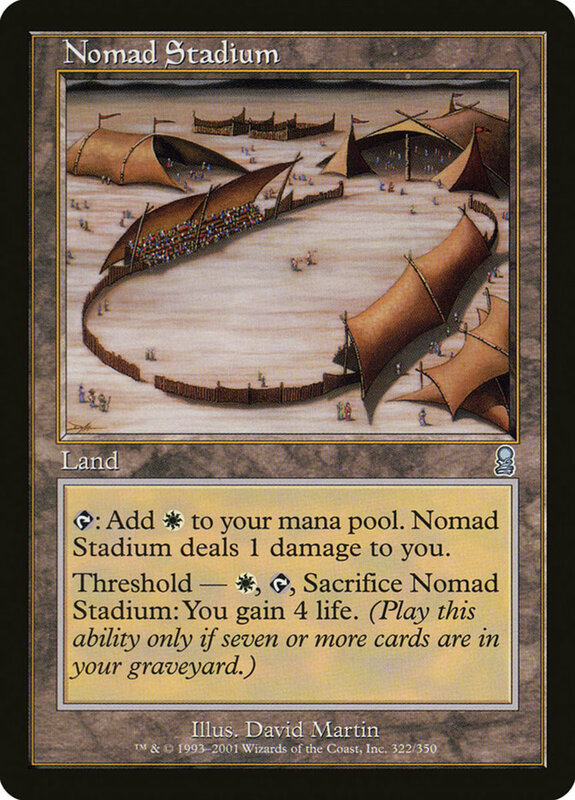 Stadium is like an inferior Plains land, tapping for a white mana but damaging you whenever it does so. Its threshold effect lets you pay one mana and sacrifice it if you have seven cards in your graveyard to gain a whopping four life. Seriously, that life will probably just cancel out the damage Stadium has done—except now you'll be down both a land and a mana. 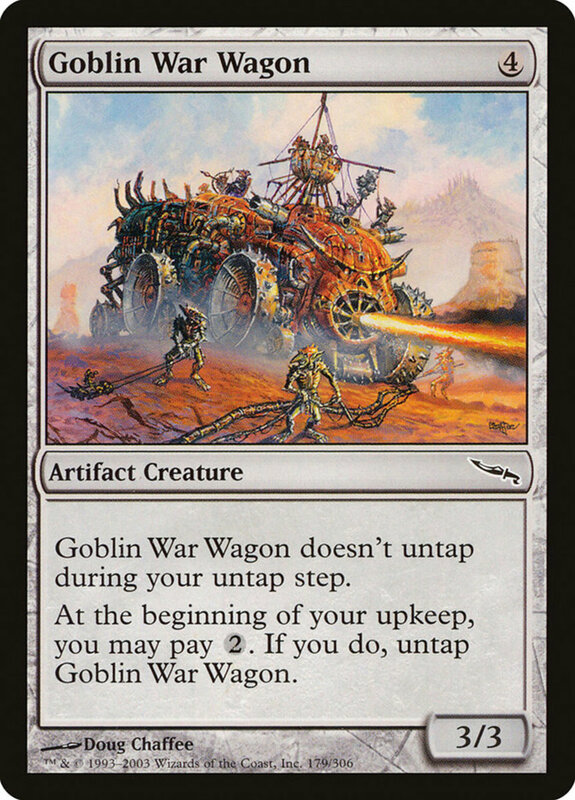 Contrary to his name, War Wagon doesn't possess the goblin subtype, and his stats aren't amazing at just 3/3. More than that, he doesn't automatically untap during your upkeep; you have to pay two resources to refresh him. A forgettable warrior who gradually drains your mana pool. Outcast's 1/1 stats are terrible for her price, and even bushido two (which increases them by +2/+2 when blocking or being blocked) only raises them a meager 3/3. 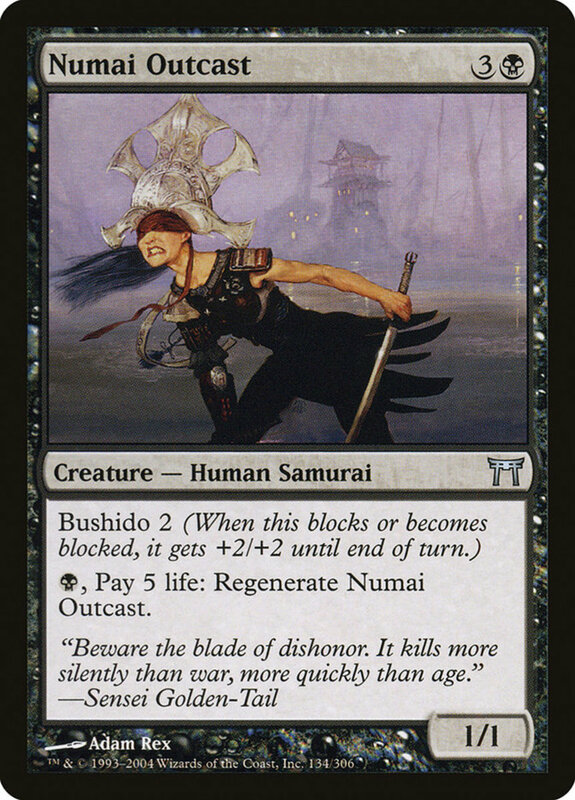 Outcast can regenerate (preventing her death), but it's costly, requiring one mana and five life, which you'll rarely want to spend on such a fragile samurai. All it takes is a single -1/-1 counter to put her out of commission, or simply three damage in battle. 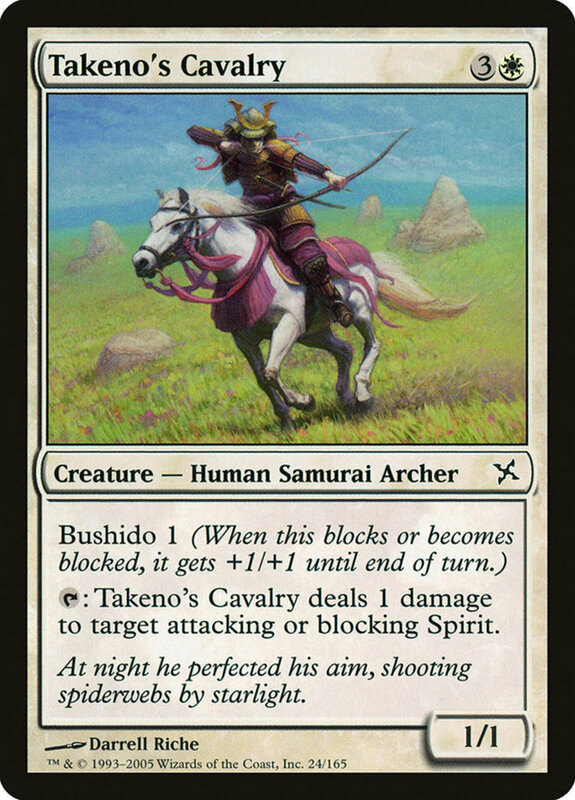 Like Outcast, this samurai needs four mana but possesses mere 1/1 stats. He only has bushido one, meaning even if engaged he'll still be a weak 2/2. Cavalry's effect lets him tap to deal one damage to an attacking or blocking spirit creature, which is both situational and underwhelming, making him a smorgasbord of awfulness. 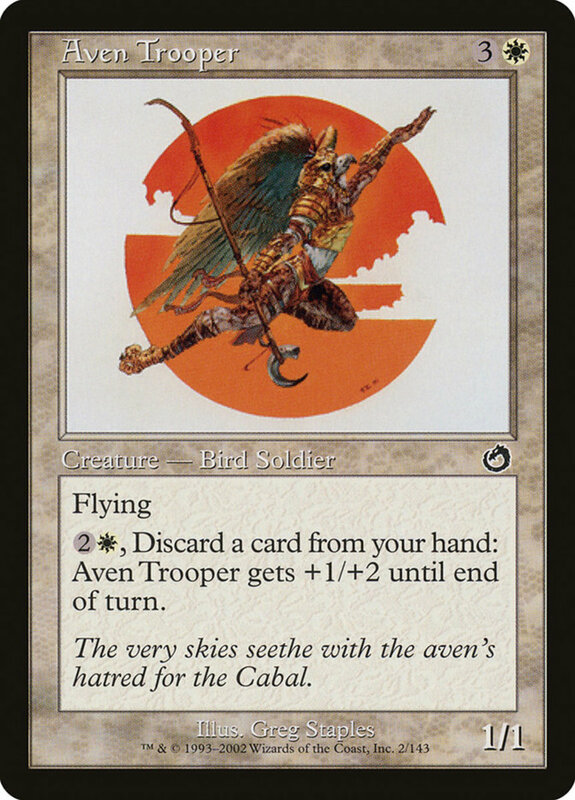 A 1/1 with flying for four mana? Embarrassing. Trooper's ability isn't any better, letting you pay three mana and discard to give him a mere +1/+2 for the turn. Seriously, there's no reason to put that much effort into gaining a brief 2/3, something you could permanently achieve for half the cost with other units. 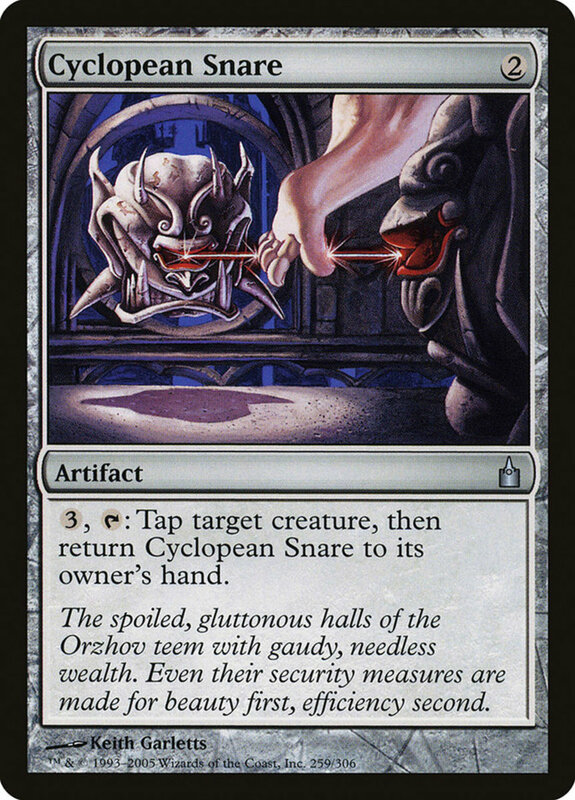 Snare needs two mana to field, then you pay three more and tap it for its effect, which simply taps a creature. 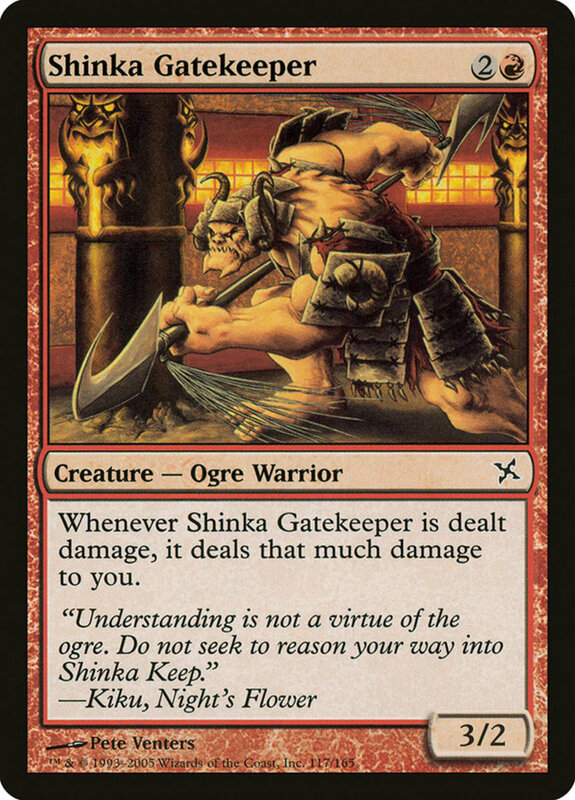 If left there, Snare would be an okay if underwhelming card, but it bounces back to your hand when used. 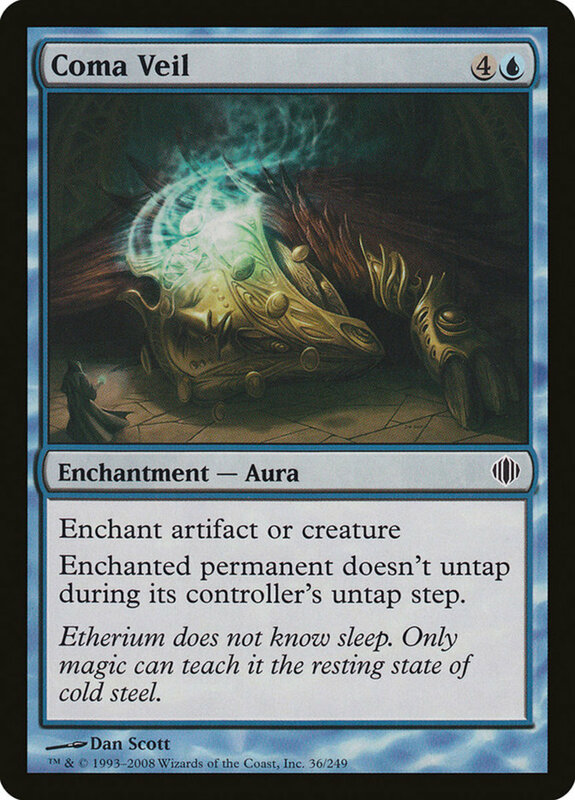 Thus, each time you employ it, you're dishing a total of five mana for a single tap—a huge price for something that only delays foes rather then removing them. 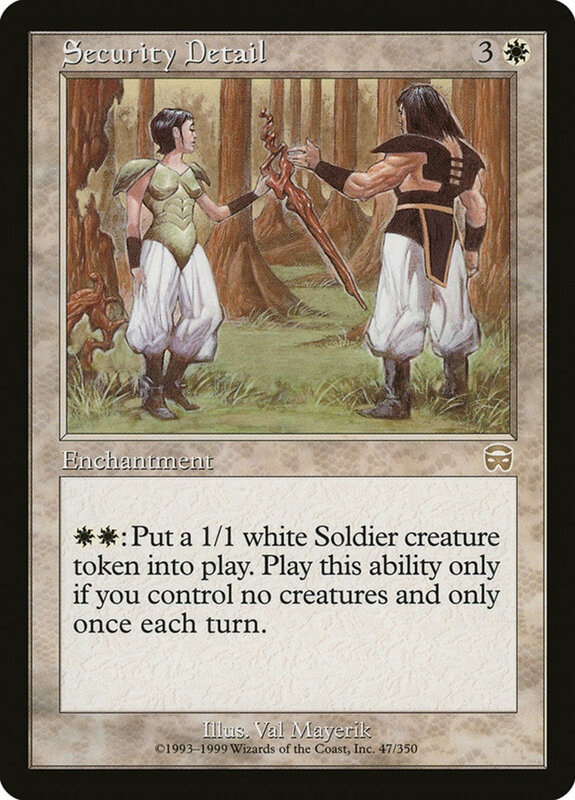 This enchantment takes four mana and two more (which must both be white) to use its effect, which creates a 1/1 while soldier token. However, you can only do this once per turn and only if you don't control any creatures. Nothing about this card works; its enormous base cost, additional fee, weak tokens, and timing restrictions make it a bundle of atrociousness. 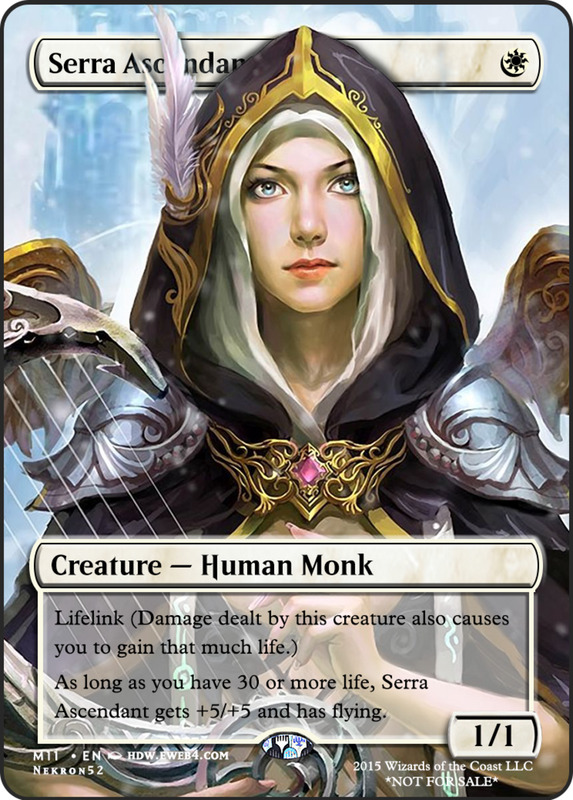 Coma Veil is the aura equivalent of Snare, needing five mana to indefinitely dull an artifact or creature. 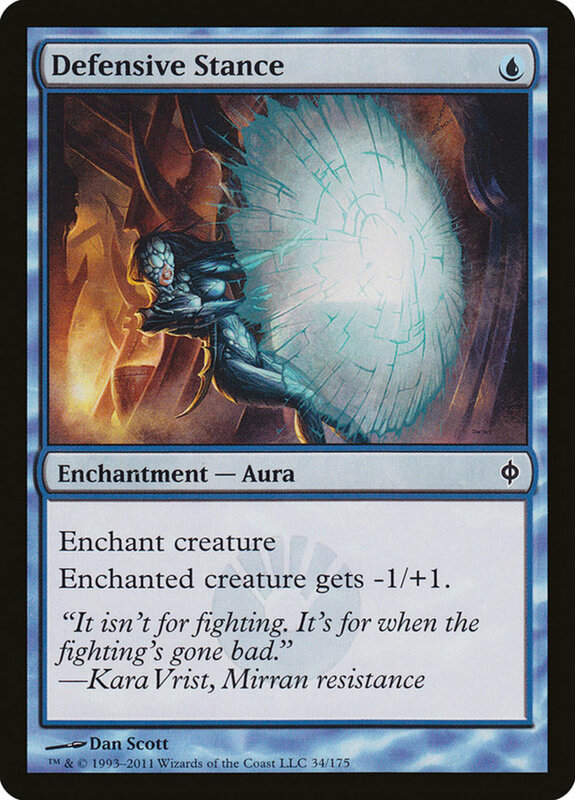 While the effect is ongoing, you need to pay all the mana at once and the ability only prevents your target from untapping automatically—it doesn't actually tap it, meaning your opponent can get one last use if it's not yet exhausted. Look at this mess. Six mana base cost, then two more and a tap to discard a card you just drew and draw again. Not only does this cost a heap of resources without improving your overall hand size, it's also hard to regulate, as players can freely shuffle the cards in their hand. Thus, unless players remember to set aside their drawn cards, there's an honesty system in play here—and you just know Chad's gonna cheat you if he can. Jerk. 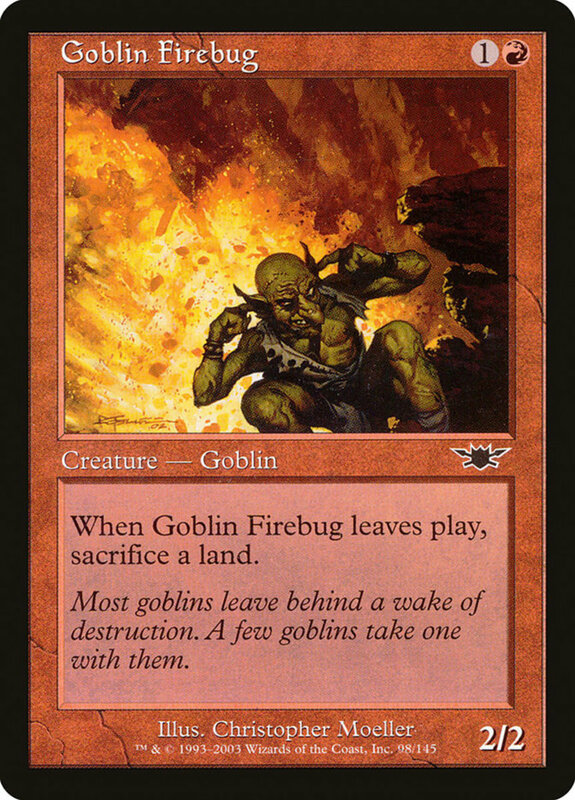 A 2/2 with goblin synergies isn't terrible for two mana, but not only does Firebug actively sabotages you by sacrificing a land when he leaves play. Land removals are rare and powerful—don't give your opponent a freebie with this handicap. Boy is this one a waste of mana. 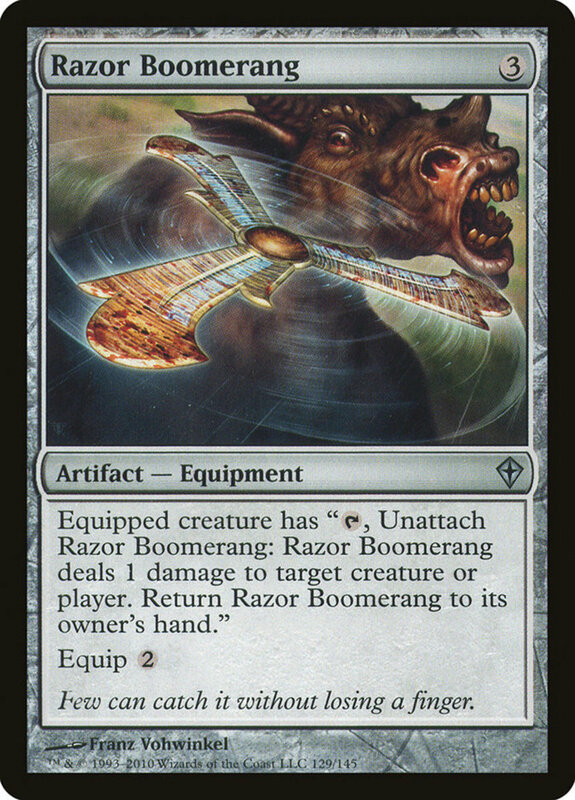 Razor needs three to cast and two to equip. Once attached to a creature, you can tap that unit to deal one damage to any target, but you have to return Razor to your hand. Seriously, five mana and a creature-tap for one damage? 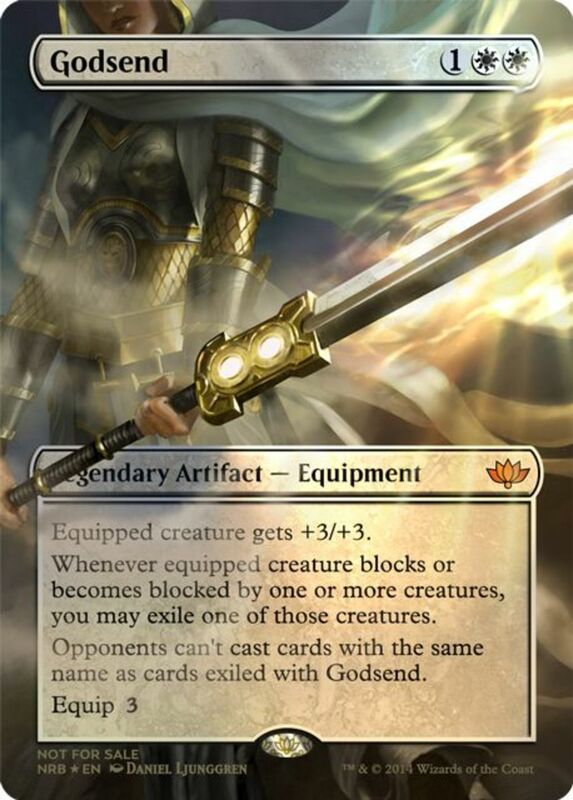 For the same mana costs, try instead utilizing the fierce "Sword of" artifacts instead. Break Open only needs two mana and functions at instant speed, but its effect is simply useless against most decks, as it flips an opposing face-down creature face-up. Not many decks run these cards, and to make matters worse, the ones that do generally want their cards flipped—you're likely just sparing your rival a morph cost. Useless against most decks and often self-harming even when it actually functions, Break Open is arguably the worst Magic card ever made. Which Magic color is your least favorite? With thousands upon thousands of cards, they can't all be winners, but few are as stupendously bad as today's misfits. Sometimes players purposefully build decks around these duds for the sheer challenge of it, but for most, they're a self-mutilating bunch best kept locked away. Even in pauper format (which only allows cheap common cards), you can find far better spells in any set. But for now, as we eagerly await Wizards of the Coast's next expansion of hopefully-worthwhile cards, vote for your least favorite Magic color and I'll see you at our next MTG countdown!